Hajimemashite! That means “nice to meet you” in Japanese. 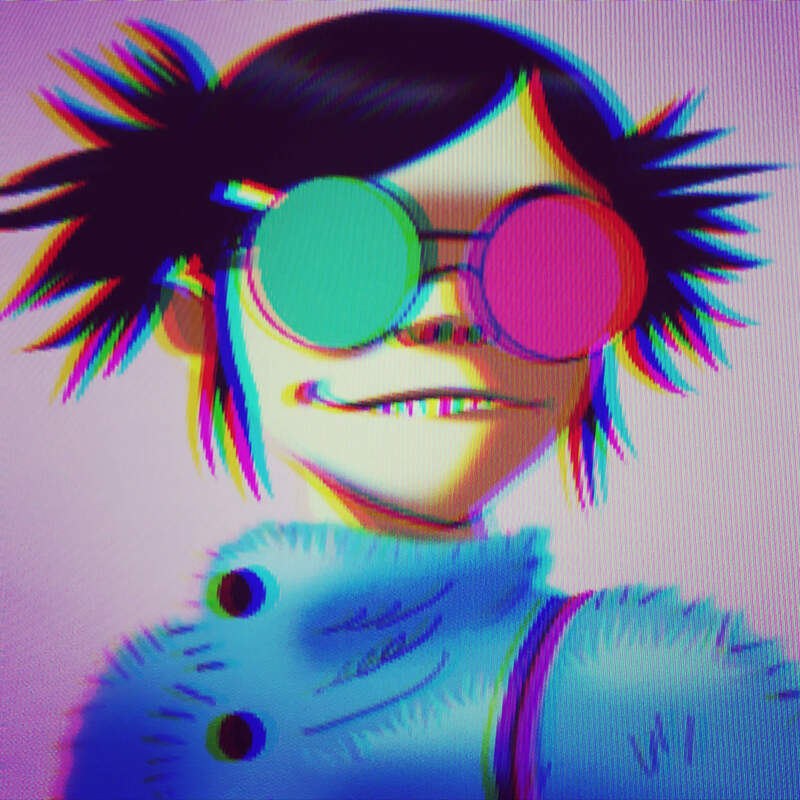 Noodle here from Gorillaz. Of course you know that, but I have to check, because recently I did a Facebook quiz called Which Member of Gorillaz Are You? and I got Russel! WTF? He doesn’t like octopus and he’s not even a Libra. So I will set the records straight, as they say. I play guitar, sing and write songs. I am 5 feet 2 inches tall, wear size 36 boots and am trained in most medium and heavy caliber weaponry. My hobbies are hot yoga, quantum physics, manga, shoe design and online gaming (handle: EatMyRocketLauncher). My musical influences include Swarrrm, Sigh, Blood Stain Child and, um, Backstreet Boys (I know, I know, but I was just a girl). Being in Gorillaz is like riding a roller-coaster every day: ups and downs, thrills, dizziness, some head-on crashes, and always a pile of sick somewhere. I was only 10 when I joined the band, despite England’s child labour laws. But it has been a good education. I’ve battled hell demons, killed zombies (when it was still cool), staged my own death and been replaced by a cyborg. A really cute one. At first I was jealous because Cyborg Noodle could shoot bullets from her mouth, but the experience taught me to be true to myself. I would say the best thing about being in Gorillaz has been the chance to see the world. The worst thing is Murdoc in the mornings. Or when he’s drunk. Or hungover. And also every other time of the day. Even though I’m the youngest, you could say I’m the big sister of the band. I comfort 2D when he has a bad dream, and Murdoc when he has a bad trip. I calm Russell down when he gets angry about the world’s problems. I have to remember to look after myself, though. Usually I make a bowl of okayu, a kind of chicken soup, or just oil my mini-gun. Both are very soothing. Some say I can be cold. It’s not true—I just take a while to warm up to people. Maybe it’s because I was raised in a super-soldier program and never knew my parents. All those covert night ops meant no bedtime stories. But those skills saved my skin recently when I accidentally released a shape-shifting hell demon from a pearl shell. Oops, my bad. I tracked that monster across Japan, and finally, in his secret Tokyo crime den, I had him. In the heat of battle, I kept my head and fought bravely. He didn’t. So now I have his head. On a shelf next to my Hello Kitty alarm clock (vintage, quite valuable). I put a red bulb in the mouth, kind of like a lava lamp. It’s a conversation starter.